Ask people who grew up in California to name the most memorable event of their school years and you’re likely to hear “Seeing the elephant seals at Año Nuevo” or “Touring the State Capitol and the Railroad Museum” or “Living 1860s-style at Fort Tejon for a weekend.” So much of what students learn in school fades with the passing years that what usually stand the test of time are the exceptions--the grand events. 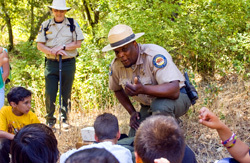 From day trips to environmental living overnights to in-school programs, California's state parks offer opportunities for students to learn about our natural and cultural history through hands-on experiences and interaction with trained staff and volunteers. Encompassing a mind-boggling array of natural and cultural resources, California State Parks are the places where lasting school memories are made. For your convenience, most California State Parks allow school groups to make advance reservations. Unless directed to do otherwise by the information below, contact the individual park unit in which you're interested to learn about making reservations. 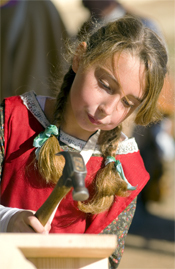 Reservation are required for the Petaluma Adobe State Historic Park and two locations at Sonoma State Historic Park; General Vallejo’s Home and Sonoma Mission. Sonoma Barracks is a self-guided tour during regular business hours and does not require a reservation. Reservations can be made by calling the toll free number (866) 240-4655. For parks in the Sacramento area, which are visited by hundreds of school groups each year, reservation information is available on our Capital District webpages. For reservations at either Año Nuevo State Reserve or Hearst Castle-San Simeon Historic Monument, call (800) 444-4445. California State Parks is using videoconference technology to bring parks and schools closer together. Please visit our Parks Online Resources for Teachers and Students (PORTS) website for more information. The PORTS 2015/2016 Annual Report is now available. 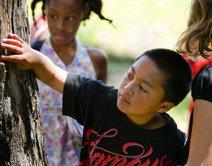 This convenient and useful guide provides basic information about educational programs in our parks. The parks are sorted by county and each has a contact phone number listed. The guide details which parks provide the following types of programs: Natural History field trips, Cultural Heritage field trips, Environmental Studies (day events), Environmental Living (overnight events), Junior Rangers, Litter-Getters, and Junior Lifeguards. We do our best to keep this guide as up-to-date as possible, but please be sure to contact the park in which you're interested to verify program availability and any other logistical arrangements that may need to be made prior to your visit. You might be surprised at the numerous and varied environmental education programs available--and at how many have information available on-line. 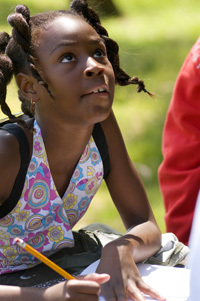 Please visit our Links for Schools page for more information on programs outside of State Parks. Service-Learning activities allow students to serve their communities while enriching their own academic experience. For more information about opportunities for conducting service-learning projects in California State Parks, visit our Service-Learning page. 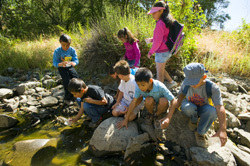 Many California State Parks have Teacher's Guides available for educators interested in helping their students get more out of their park experience. Our Guides for Educators page has a selection of guides that are available in electronic format. As more guides are created, or converted to electronic format, we'll continue adding to this page. Additionally, be sure to check the individual page for the specific park you're intersted to see if they have posted information for teachers. We also realize that teachers may find it useful to review transcripts for videos shown in our parks in advance of a visit in order to determine if watching a video will be of use to their students. To view transcripts for many of the videos shown in state parks, visit our Video Transcripts page. 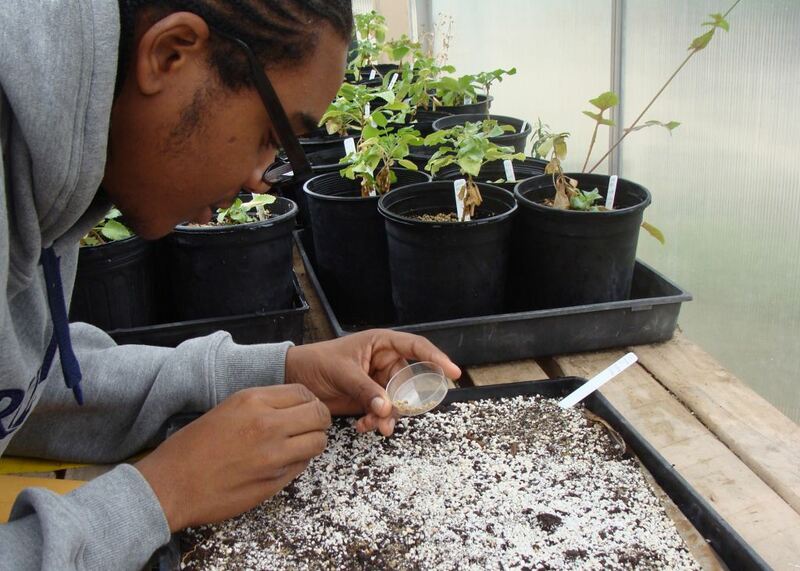 Environmental Living and Environmental Studies programs provide immersive experiences for classes learning about local, state and national history. For more information on ELPs and ESPs, see the Environmental Living and Environmental Studies Programs page. The California Environmental Legacy Project is a new kind of educational media project. Through an integrated set of programs and media resources, it builds public understanding about the deep and inextricable connections we have with the natural world, shaping the very attitudes, behaviors and public policies that will guide our nation toward a sustainable future. The project is dedicated to creating a new climate of stewardship in California. The California Environmental Education Interagency Network (CEEIN) is a state government consortium of environmental educators representing departments, boards and commissions of various state agencies. CEEIN partnership provides a forum for its members to share resources, programs and materials with California's public schools and students in grades kindergarten through university. You will find climate change information and links to other climate change education resources for educators on the Cool Parks page. Did you know it's easy and cheap for school groups to take the train to many of California's State Parks? How about being dropped off just a block from Carpinteria State Beach with its marvelous natural resource programs for schools? Or having a special stop planned for a visit to the inspirational Colonel Allensworth State Historic Park? Taking the train makes the trip itself part of the experience, and your students will love it. For more information, visit Amtrak's Kids 'n Trains program website. As many teachers in California are already aware, California State Parks has an active teacher survey program. In addition to surveys conducted by individual park units, a statewide survey, known as the School Group Program Evaluation, has been conducted in the first half of each year since 1998. 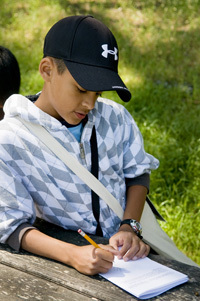 The 2002 report on the survey program is entitled Making the Grade: An Analysis of California State Parks' School Group Program Evaluation, 1998-2002. A short update on the 2003 program is also available. California State Parks has adopted mission statements for its interpretive and educational efforts. To view the statements, visit our Interpretation and Education Mission Statements page.